Special Holiday Programming for 2018! We are excited to announce this year's Holiday Programming line up! Both HQR News and Classical HQR have some incredible shows coming your way this year. 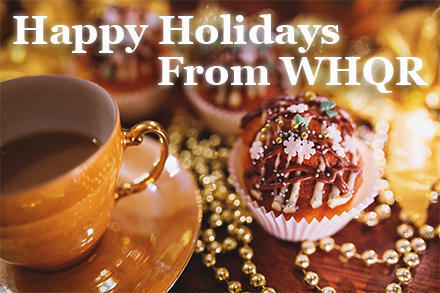 We hope you all have a wonderful Holiday Season! 12pm – 1pm APM Reports: Changing Class: Are Colleges Helping Americans Move Up? 2pm – 3pm APM Reports: Changing Class: Are Colleges Helping Americans Move Up? 12pm – 1pm APM Reports: Why Aren't American Kids Being Taught to Read? 3pm – 4pm APM Reports: Why Aren't American Kids Being Taught to Read? 2pm – 3pm Welcome Christmas!